Antiveduto Gramatica and Pietro Paolo Bonzi rent (as in a tenancy) a farm to Giacomo Gimignani. The farm is known as Il Giardinetto (the little garden). The rent is 8 scudi per year. Giacomo Gimignani will be responsible for the maintenance of the farm and its trees, especially during wintertime. 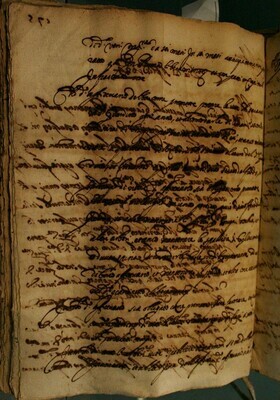 Document is severely damaged. 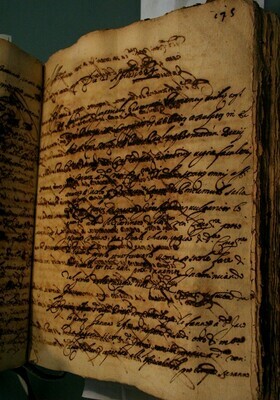 Brackets denote illegible passages due to holes in the document or ink spots on paper.